Bookkeeping and Accounts a Bore, Chore or Needing More? We have the solution. We are too often called into a business to troubleshoot bookkeeping problems when something has gone wrong with a business’s accounts. Worse still, the legal eagles are now at the door and the business owner is stressed out about the predicament they are in. Tax authorities pursuing you with enquiries or imposing fines? You use Excel to make lists of income and expenditure? You lose track of small expenditures or receipts? You have “someone you know” to do your books? use, but you have spent hours correcting a mistake? Unsure about your accounting categories? Tracking of petty cash sketchy? card statements, invoices, delivery notes or other transactions records. Bank account differentiation a little fuzzy? Personal and business finances are a little ‘mixed up’? Auditors need more records of business-related activities? Data lost through inconsistent file back-ups? No accounting for sales tax? Your bookkeeping system sometimes hit and miss? Losing profits through over-stated total sales? Paying expenses out of your own pocket and not accounting for them? Not sure if you are making a profit? Logging credit card payments as an expense? Drawings and pay extracted from your business? Data entry errors and incorrect balances? Meer & Co offers professional and comprehensive bookkeeping services, so you can concentrate on running your business rather than having to worry about day-to-day management of your business’ finances. We help improve your profitability and longevity by identifying development opportunities and efficiencies with you.Outsourcing your bookkeeping services with Meer & Co means you can focus on what you do best – the operations important to your business. Outsourcing to us gives you the peace of mind that we have your bookkeeping services and business support covered. 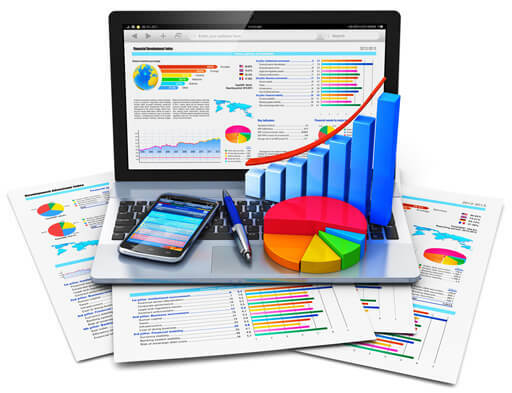 Our efficient and effective bookkeeping services are invaluable for accounts preparation for the financial year. This is the most stressful time of year for any business, with many more responsibilities than usual to juggle. Meer & Co will help you stay ahead, to maintain effective cash-flow, ease finances and continue the smooth running of your business. Let us take care of your bookkeeping services and carry on with your daily operations whilst we take the pain out or audit and accounts preparation for you! Still need more reassurance we have the expertise your company needs? Check out our testimonials of satisfied clients!